Oil prices are down a bit, but are still close to multi-year highs. That should leave the shale industry flush with cash. However, a long list of U.S. shale companies are still struggling to turn a profit. A new report from the Institute for Energy Economics and Financial Analysis (IEEFA) and the Sightline Institute detail the “alarming volumes of red ink” within the shale industry. 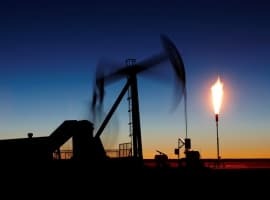 “Even after two and a half years of rising oil prices and growing expectations for improved financial results, a review of 33 publicly traded oil and gas fracking companies shows the companies posting negative free cash flows through June,” the report’s authors write. The 33 small and medium-sized drillers posted a combined $3.9 billion in negative cash flow in the first half of 2018. “Current trends suggest that the shale industry as a whole may finally turn a profit in 2018, although downside risks remain,” the IEA wrote in July. 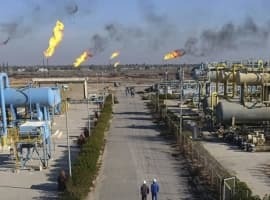 “Several companies expect positive free cash flow based on an assumed oil price well below the levels seen so far in 2018 and there are clear indications that bond markets and banks are taking a more positive attitude to the sector, following encouraging financial results for the first quarter.” Related: What Killed The Oil Price Rally? The new report from IEEFA and the Sightline Institute add more detail the industry’s recent performance. 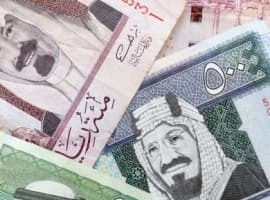 Only seven out of the 33 companies analyzed in the report had positive cash flow in the first half of the year, and the whole group burned through a combined $5 billion in cash reserves over that time period. Even more remarkable is the fact that the negative financials come amidst a production boom. The U.S. continues to break production records week after week, and at over 11 million barrels per day, the U.S. could soon become the world’s largest oil producer. Analysts differ over the trajectory of shale, but they only argue over how fast output will grow. The ongoing struggles raises questions about the long-term. If the industry is still not profitable – after a decade of drilling, after major efficiency improvements since 2014, and after a sharp rebound in oil prices – when will it ever be profitable? Is there something fundamentally problematic about the nature of shale drilling, which suffers from steep decline rates over relatively short periods of time and requires constant spending and drilling to maintain? Third quarter results will start trickling in over the next few days and weeks, which should provide more clues into the shale industry’s health. There is even more pressure on drillers to post profits because the third quarter saw much higher oil prices. “Until the industry as a whole improves, producing both sustained profits and consistently positive cash flows, careful investors would be wise to view fracking companies as speculative investments,” the authors of the report concluded. Is There Too Much Light Crude On The Market? When will the banks take away the punch bowl, their just kicking the can down the road. 1. Shale oil investments were hyped by most wall street analysts, worshiped by main stream propaganda as shale revolution, it is all because those so called experts have little knowledge of geology and engineering, it is the result of pathetic ignorance by wall street. 2. Meanwhile, it is time to accept that oil price needs to be over $100 for any producers to be profitable in the long term. Shale oil is the last oil reserve left on land - On Shore, otherwise we need start to go OFF Shore for long term secure supply, though that will also require the oil price to stay above $100 to be profitable. 3. Do not forget: oil price did stay above $100 between 2010-2014, the world economy did not fall into recession. 4. Oil producer equity price needs to move up significantly in order to attract enough capital investments to raise production, that is the only way to cap the rise of oil price, otherwise the further rise oil price will continue. 5. Most money in Wall street still chases Hi tech monsters. A very learned friend, PhD geologist and expert in petroleum economics told me years ago that resource plays were a scam. He said that depletion rates were over reported and that they would result in eventual bankruptcy of the major players as the plays were drilled out. US shale has indeed a glaring problem and the glaring problem is that the US shale oil industry will never be profitable. It is yet to turn a profit after more than ten years of production. US shale oil producers are so deeply in debt that they have become like the saying of “robbing Peter to pay Paul”. They are heavily indebted to Wall Street to the extent that they continue to produce oil even at a loss just to pay some of their outstanding debts. The Institute for Energy Economics and Financial Analysis (IEEFA) and the Sightline Institute said in a newly published report that even after two and a half years of rising oil prices and growing expectations for improved financial results, a review of 33 publicly traded oil and gas fracking companies shows that the companies posted a combined $3.9 billion in negative cash flow in the first half of 2018. According to the IEEFA and the Sightline Institute, America’s fracking boom has been a world-class bust. And things will not change even with the rosy picture the International Energy Agency (IEA) painted early this year claiming that 2018 is supposed to be the year that the shale industry finally turned a corner. But then one would expect the IEA to get it wrong as they always do. Moreover, a Wall Street Journal’s (WSJs) analysis of 50 oil shale companies found that they spent a combined $2 billion more than they generated in the second quarter of this year. This raises huge question marks about the future of the US shale industry. If the industry is still not profitable – after a decade of drilling, after major efficiency improvements since 2014, and after a sharp rebound in oil prices – when will it ever be profitable? Is there something fundamentally problematic about the nature of shale drilling, which suffers from steep decline rates over relatively short periods of time and requires constant spending and drilling to maintain? The rise in US rig count is a function of two things. One is the high depletion rates in Shale oil wells. These wells experience high depletion rates amounting to 70%-90% in the first year of production. This means shale oil drillers must replace 40%-45% of the current production each year just to maintain production. Roughly the US will need to drill more than 9,000 wells annually costing more than $50 bn to counterbalance the production declines. Second, at the start of the US shale oil revolution in 2008, rising shale oil production went hand in hand with increasing number of rigs deployed. Now, adding new rigs is starting to face diminishing returns meaning that the rise in shale oil production is no longer commensurate with the number of rigs added. Yet, US Secretary of the Interior Ryan Zinke is projecting that US oil production may rise to 14 million barrels a day (mbd) by 2020 when there are some early signs that the US shale industry is witnessing rising depletion rates. Very interesting article, many thanks for the link to this IEEFA report, confirms my feelings about fracking. The only reason to stay in business is those exports to countries who can still absorb lower quality oil the US would never process. But for how long? Exports are capped and oil price is not yet economical considered fracking costs. You shall take investment 101 to understand the difference between cash flow and profit. All comments are very interesting, though I like to add two points which everyone seems to overlook : The main reason why US shale oil is in such a mess is most producers misled the investors by claiming their break even price is $50, they did so in order to attract wall street money to buy their shares; now the oil price is $70, most of them still can not produce positive free cash flow. On the other hand, if drilling shale oil at current price is still loss making business, why we are doing it? It is not because we are stupid, it is because shale oil is the only on shore oil ( except oil sands) reserve left; otherwise we need go off shore drilling which also requires oil price to be above $100 to be profitable. The IEEFA looks like a mouth piece for the renewable energy crowd. The only favorable reports I can find from them are on renewables. Plus these are small and mid-sized companies. There is a constant stream of them in the oil industry. They convince someone they have a better idea and get some cash. Then do the old take a loss to gain market share thing. As soon as they raise their rates they are out the door and the next business genius steps in with the same idea. few years down the road they go out of business, but the people at the top make a killing while its running. Wash, rinse, repeat. This just underscores the fact that everyone, including the oil industry, should be focusing their efforts on renewable energy and energy storage solutions. As of recently, I can confirm that we do not need fossil fuels to heat our homes as long as renewable electricity options are available. Very efficient electric heating methods exist today and in some cases are simple to implement as well as requiring about 1/7th the energy in kWh equivalent of using natural gas or heating oil. Why burn 10kWh worth of fossil fuels when you can get a more comfortable result with about 1.5kWh electricity, some or even all of which can be renewable. I assume that by free cash flow you mean the cash flow from operations less the capital expenditures. The story above would ring true for a traditional company, but not one that is as capital intensive as drilling a shale play. Virtually all the shale operators are generating large cash flows from operations but reinvesting every bit of it drilling for reserves. They are building reserves faster than anyone thought possible. There are some that have accumulated excess debt, but there are many that have amazing organic growth rates. Don't believe these yahoos, even if they have a Dr. in front of their name - it is profitable to drill shale in the Permian at $50/bbl oil prices. For many years I was reading on that site tons of "expert" pieces explaining that the shale oil is the future of oil industry and that US shale will make OPEC outdated. Should I understand now that it will take trillions of US dollars to become true? Is American public so gullible? Or is American "experts" so "for sale"?